We are a small hobby breeder striving to produce healthy, long-lived Goldens with proper temperament, sound structure, and work ethic. We are dedicated to producing good looking, correctly structured Goldens who can perform their intended hunting role and are healthy and sound throughout an active working life, but also Goldens that are easy to live with and highly trainable. All puppies are raised in our home with early neurological stimulation and intensive socialization. While we hope that most of our puppies will compete in some type of performance venue, our main priority is that our dogs go to homes where they will be appreciated and loved for a lifetime (and also kept pretty darn busy!). I compete with my own dogs in hunt tests, working certificate tests, obedience, conformation, and a little bit of tracking. 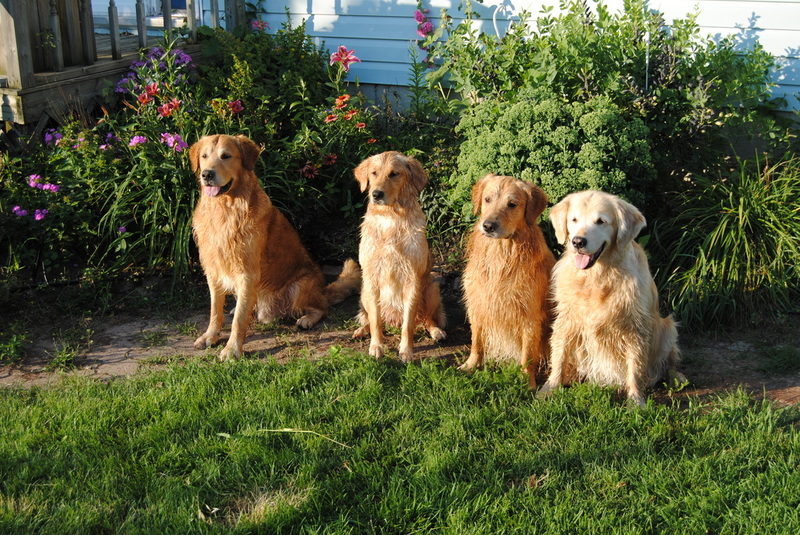 I am a member of the Golden Retriever Club of Canada, the Golden Retriever Club of America, and the Canadian Kennel Club. Both Bruce and I serve on the Board of the Ottawa Valley Golden Retriever Club.